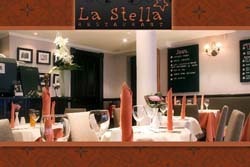 Having an experience of over 14 years, La Stella is a well-known restaurant in Aberdeen. The relaxing ambient, the friendly staff and the tasty food combine perfectly and situate La Stella on the top of your options list, when you are hungry. Opened from 12pm to 2.30pm every Tuesday to Saturday, La Stella offers a diversified British menu, comprising various cuisines, prepared by well-trained Chefs. 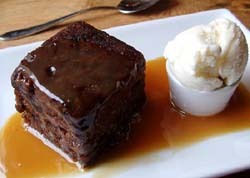 Also known as the best family pub in town, Mains of Scotstown Inn is both a great pub and an excellent restaurant. The wide palette of drinks and plates, as well as the quality of the services provided by the warm staff, makes it one of the best restaurants in Aberdeen. 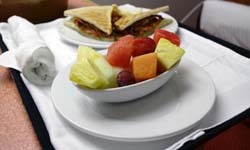 The menu includes fresh food, prepared with great care by some of the most experienced Chefs in Aberdeen. For Howies restaurant, the decor and the ambient are extremely important. This is why they make daily efforts to change it and come to the aid of their clients. The Chefs pay the same attention to the taste of the plates, as to their aspect. 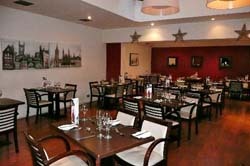 Howies restaurant is founded by David Howie Scott and it has been in the core of Scottish dinning for over 22 years, having a great local reputation. 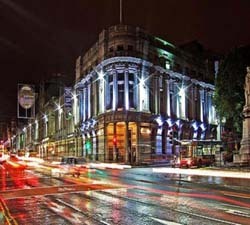 The Monkey House is one of the greatest gastro pubs in Aberdeen! Being perfect for both special events and ordinary days out with family or friends, there is no wonder why so many people choose this place every day. The Monkey House is a place of diversity, where you can find any drink you want and any plate you want, at reasonable prices. This place will certainly be a good choice if you have a low budget. The Northern Lights is the perfect place for rainy Sundays, when you need to relax after a rough week of work. The restaurant is opened from Wednesday to Thursday, from 5:30 pm to 9pm, Saturday from 11:30pm to 9pm and Sunday from 12:30 pm to 8:30pm. The great variety of Scottish food combined with the English cuisine, along with staff's experience and dedication, makes the Northern Lights a great option. Café Boheme is one of the most talked about places in town and definitely your perfect choice when you want your culinary senses to be conquered. The friendly atmosphere makes it more suitable for informal events than for formal ones, the place being described by many clients as 'relaxing' or 'warm'. 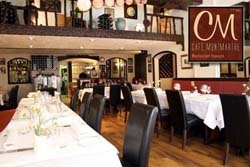 Café Boheme is a small but classy restaurant, which provides quality services at excellent prices. This is the place with the finest French cuisine in Aberdeen. After tasting a well-prepared plate by the famous Chefs working here, all your senses will go wild. 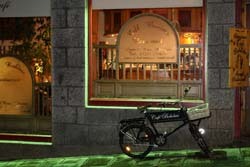 Café Montmartre is situated right in the centre of Aberdeen, being easily accessible. The diversified French menu includes a great palette of dishes, from ordinary French fries to more sophisticated plates such as Gratin Dauphinois or Fondue Savoyarde.